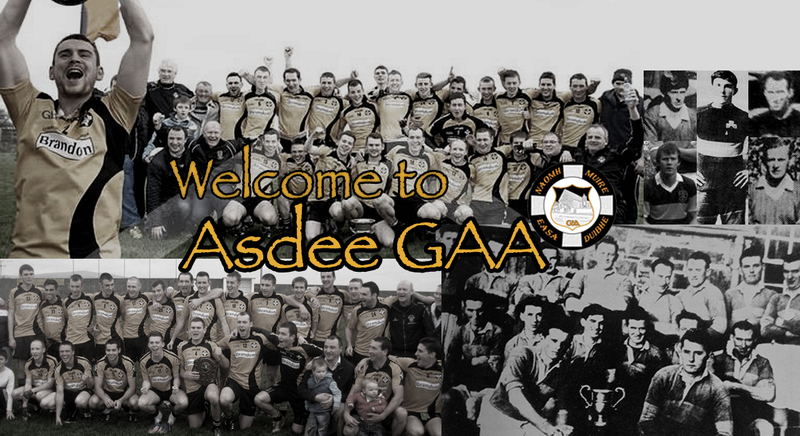 Asdee made the trip to Lewis Road on Sunday to take on already promoted Dr Crokes B. Credit is due to the team as they put in a good performance against a very strong Dr. Crokes outfit. A great score from Michael Tydings saw the visitors take the lead on the 5th minute. Crokes equalised on the 7th minute before a Mike Breen free put Asdee ahead again. Asdee produced a great move which saw Eoin Kennedy finish to the net in the 10th minute and they now led by 1-02 to 0-01. Crokes pointed on the 13th minute before rattling the net in the 15th minute to draw level with the visitors. After this the home side got the upper hand and scored five points in the 19th,21st,26th,29st,32 minutes. The other score Asdee recorded in the first half came from a fine effort from Charlie Dalton in the 30th minute. Despite Crokes going in front at the break Asdee had matched them for most of the first half playing some great football. Crokes needed the victory to remain on course to win Division 5 and they came out all guns blazing in the second half. A John Doran point in the eight minute was Asdee only score of the opening quarter wheras Crokes pointed in the 3rd,7th,9th and 11 minutes as well as Gavin Tucker converting a penalty in the 4th minute. The game looked to be over as a contest until an Asdee revival got underway sparked by a terric Darren Russell goal in the 15th minute. Eoin Tydings scored three fine points in quick sucession in the 19,20,22 minute before an Eoin Kennedy goal brought Asdee with four points of Crokes. Darren Russell brought Asdee within three point before Crokes won a penalty which they converted. Two points from john Doran finished the scoring. Overall, it was a good display against a very strong Dr. Crokes team. Subs: Eoin Tydings(0-03) for Padraig Ruddle, Denis Dalton for Brian Coughlan, Padraig Buckley for Daragh Keane.